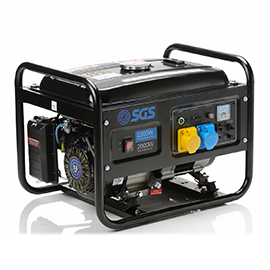 At SGS Engineering, we have a wide range of quality diesel and petrol generators for sale, for trade, domestic and commercial use. To find the model that's right for you, explore our selection of generators by clicking on our listings below. You can also make the most of our helpful ‘Generator Buying Guide' which explains everything from how to calculate your power requirements to which models are best-suited to different jobs. 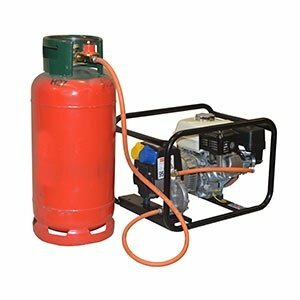 Browse our range of portable petrol generators including models built in the UK with Honda engines. 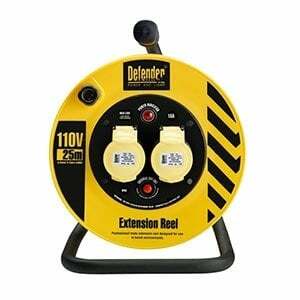 Save money with our generators kits, matched with fly leads, oil and extension cables. 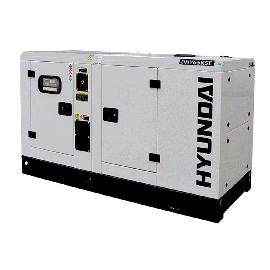 Diesel generators built in UK with Hyundai, Lombardini, Kubota, Yanmar and Perkins engines. 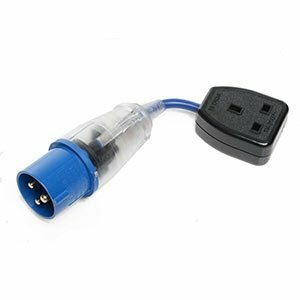 Remote power suitable for running laptops, computers and other sensitive electrical equipment. 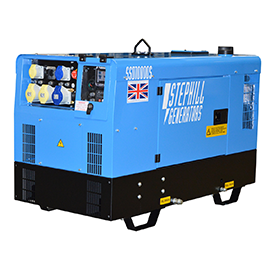 Lower your running costs with LPG fuelled generators, manufactured in the UK. 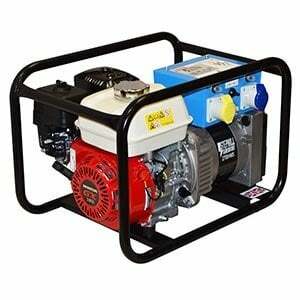 Petrol welder generators built in the UK with genuine Honda engines. Rail track and LU approved petrol and diesel generators. High output site use generators ideal for backup or prime power situations. 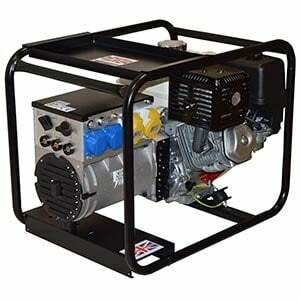 Pipe fusion TIN12-ECE3 specification petrol generators built in the UK. 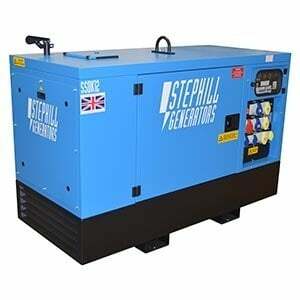 Honda powered petrol generators built in the UK by Stephill. 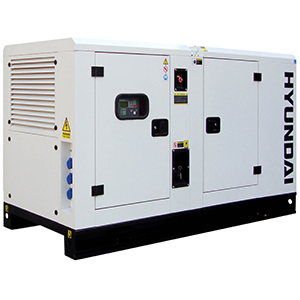 Hyundai generators with full sales, repair and service backup. 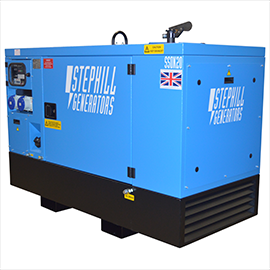 Stephill are the largest manufacturer of petrol and diesel generators in the UK. 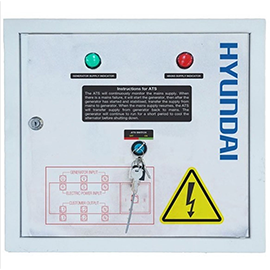 An ATS panel often installed with generator to allow automatic starting on the generator. 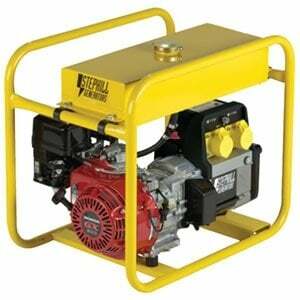 Generator plugs, fly leads, generator oil and extension cables and cable reels. 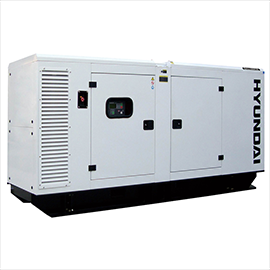 We appreciate that different tasks and usages will have different power and performance requirements, which is why we have generators for sale in a variety of specifications and capacities. 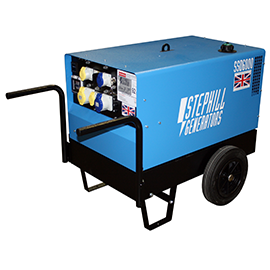 For example, for construction work our portable petrol generators are an ideal choice, as they can comfortably handle the intense use that comes with busy working environments and can be easily moved between sites. 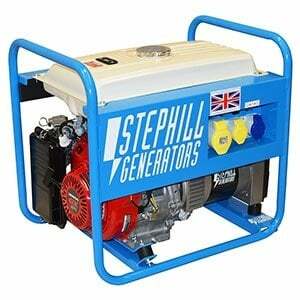 What's more, if you need a model for prolonged usage we supply Stephill petrol and diesel generators that are designed to provide optimum power for longer. 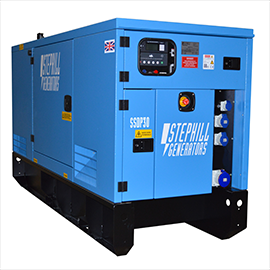 We even have generators for specific applications like our welder generators and our industrial generators, as well as inverter generators which can be used to safely power sensitive electrical equipment. 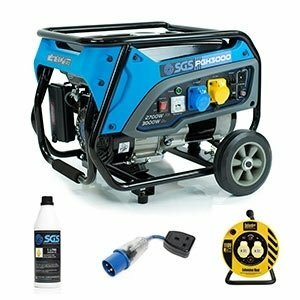 Our stock includes our own branded range of quality SGS generators and a huge choice of models, products and accessories from other popular brands, such as Honda and Hyundai. Generators convert chemical or mechanical energy into electricity that can then be used to provide power for a variety of purposes including running power tools, lighting and electrical items. 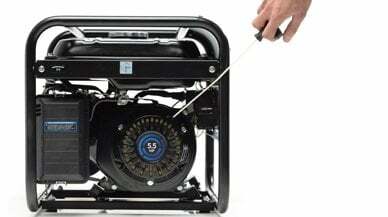 Which Type of Generator Should I Buy? 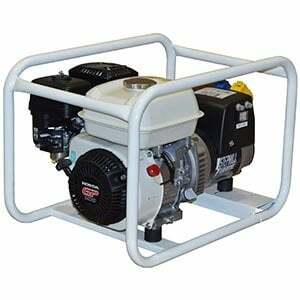 When choosing a generator, there are a number of factors to take into consideration. You need to work out the wattage (how much power you'll need), you need to have an idea of what you intend to use the generator for, and what fuel source (petrol or diesel) you'd prefer to use to power your generator. 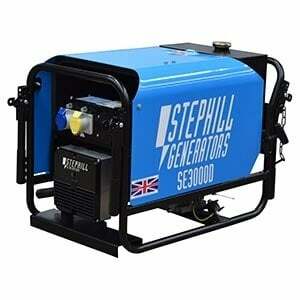 To help you choose, read our ‘Generator Buying Guide'. Inverter generators are so-called because they output AC (much like a typical generator) but this is then converted into DC and then ‘inverted' back into AC. This subsequently ‘cleaner' energy is typically used for safely powering equipment that has a microprocessor (e.g. a phone or laptop). Our range are also more compact than typical petrol and diesel generators and are an ideal option for powering caravans or smaller household electrical goods. 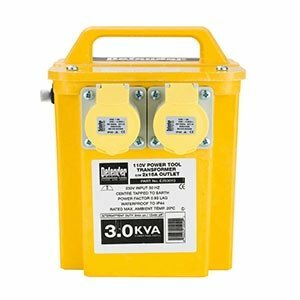 How Do I Measure a Generator's Performance? How much power it should produce: Each generator's description states the maximum (or peak) and rated power outputs that it should produce. This is typically measured in kW (Kilowatts). The effectiveness of the starting mechanism: Most generators are started by an electric mechanism or by recoil start (also known as ‘manual' or ‘pull' start). The optimum running time: This can also be referred to as ‘load time' and is the length of time the generator can run before it needs to be refuelled. This is usually stated in hours as either 50% or 100% load. 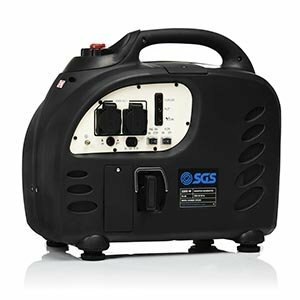 To buy your generator from SGS Engineering, take a look through our collection and place an order on the model that best fits your requirements. 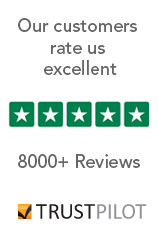 We offer different warranty options on our generators, ranging from 2 to 10 years on selected products. You can find our full warranty information here and on our individual generator listings. We have a 60 day ‘no quibble' returns policy for any unwanted goods and UK next working day delivery on orders placed before 4PM. If you need more help, you can contact us via email sales@sgs-engineering.com or via phone on 01332 576 850 and our team will be happy to assist you with your order.